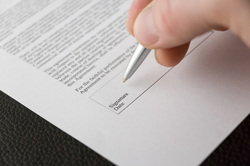 There are numerous ways to make mistakes when negotiating and drafting a contract. Here are the top mistakes that small businesses make and that you should avoid. Let us guide you through the process and help you avoid the pitfalls that many people fall victim to. Contact us now...WE CAN HELP!